I first spotted these unique beads on Etsy. I alllllmost purchased a necklace and a pair of earrings that were handcrafted with polymer clay..but $35 + $7 for shipping....seemed a little steep. So I bookmarked the page (along with a hundred others) and forgot all about it. I recently discovered a new amazing blog called Hurmur. I am a little obsessed with all her amazing creations and jewelry inspiration. She did a post on polymer clay and it totally inspired me to recreate my own version. I did a little research and polymer clay is SO cheap. Michaels carries blocks of just about every color you can imagine. A whole block is only $1.50!! With one block you can probably make 20+ necklaces or bracelets. Cord. I used leather lace cord. 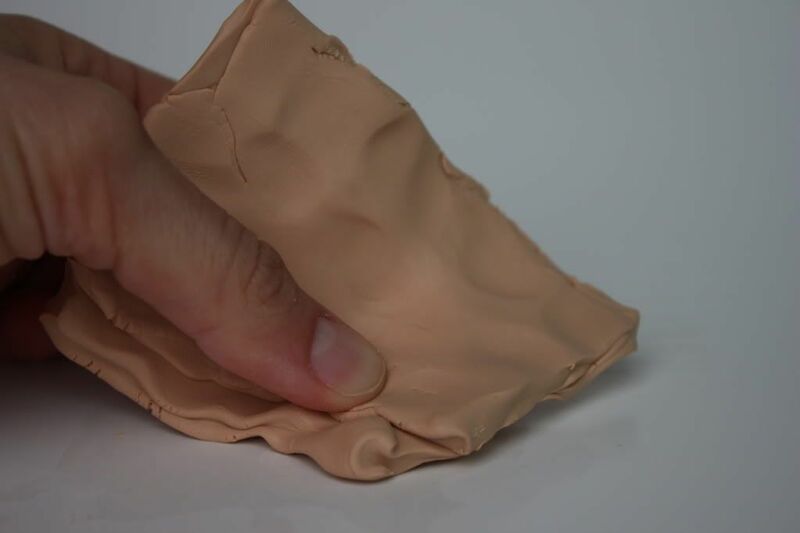 Knead the clay until it is soft and pliable. Roll however many balls you wish to use. 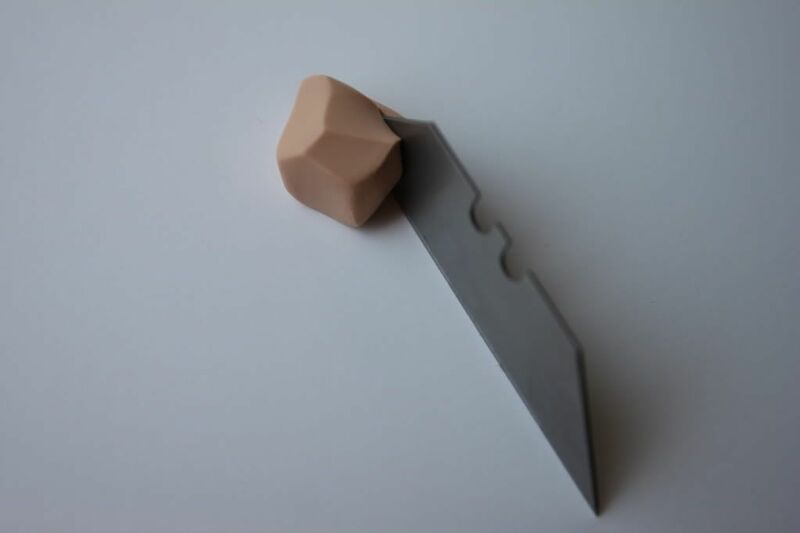 Using the razor blade, slice off little pieces until you are satisfied with the shape. 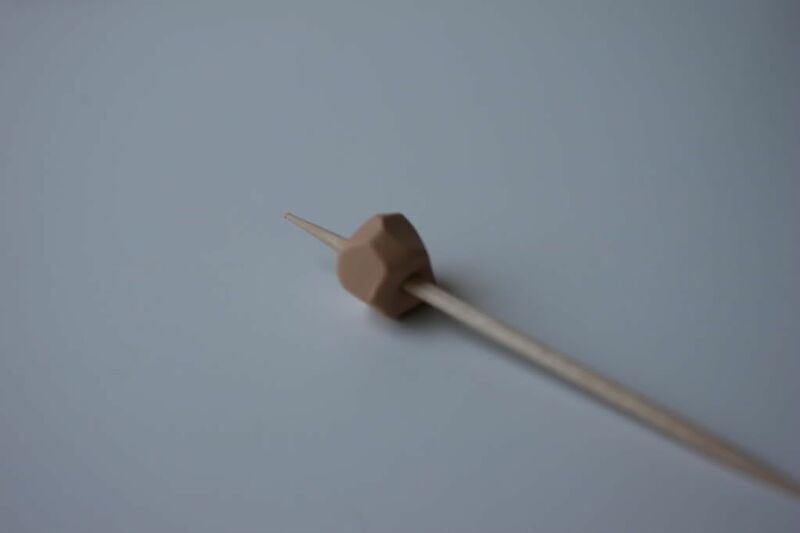 Poke a hole in the center with the toothpick. Put them on a baking tray and bake at 275 degrees for 15 minutes. Attach metal closure on one end. Thread your beads through. I tied two little knots where the first and last beads were to keep them from moving. Attach other closure and your done! This entire little project only cost about $5...and I still have enough clay for many more creations! Wow. You make it look so easy Lindsay. Whenever I go to buy beads they never quite have the right colour combination or design so I think I might have a go at this. 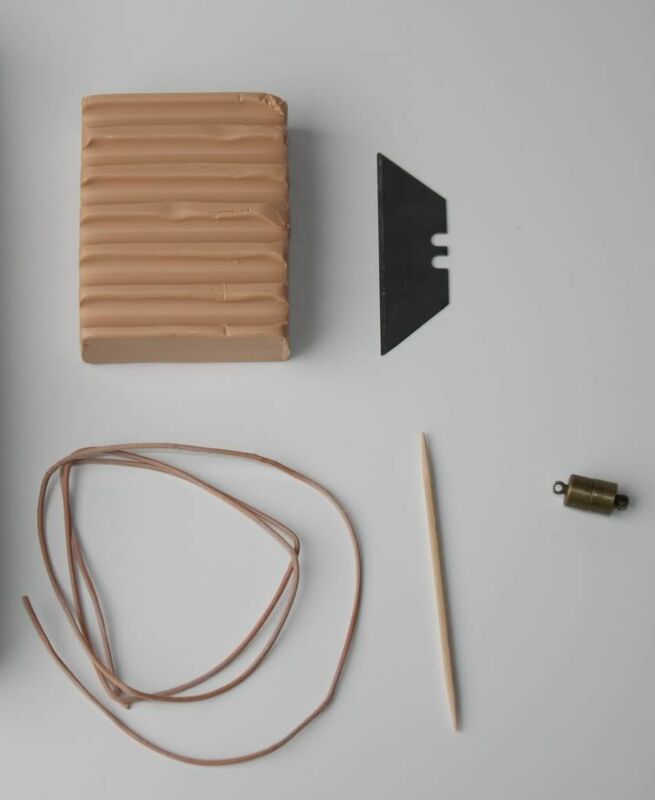 Can you paint the clay easy enough? This is fantastic! I love love love these so much! so cool! I heard about Polymer clay but never explore it. So thanks for sharing this! I supposed you can pant it as well? I'm so happy to have inspired you - your work looks great. And I love the colour - so versatile! this is gorgeous :) Enter my Dior giveaway? this is too cool! my sister made jewelry with polymer clay when she was younger - we'll have to give it another go! Mongs- I'm sure you can paint it! That is actually a great idea. Lindsay! This is so cool. I've been admiring these types of necklaces for a while now so I appreciate the diy alternative. What interesting timing, I just posted yesterday an Etsy inspired statement necklace DIY also and then arbitrarily surfed here this morning! 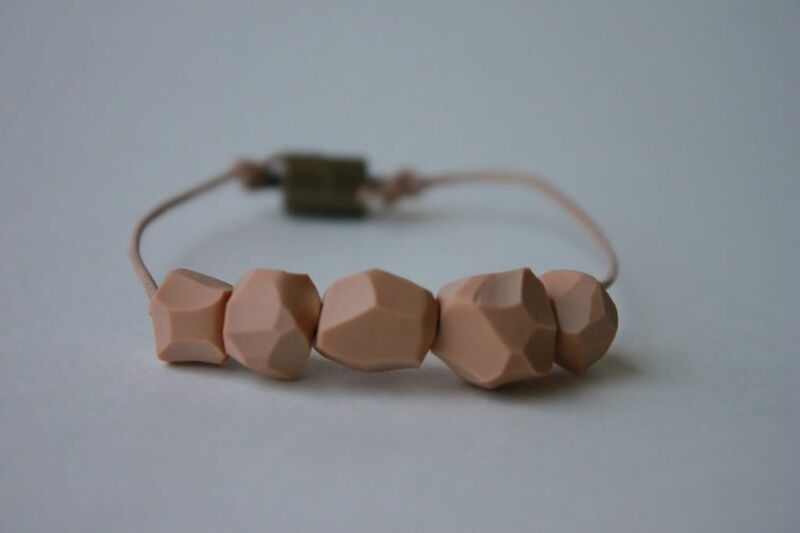 Though I have to say this polymer clay bead tutorial is WAY cooler and now I have to try it. I love the final look! If I only saw the final necklace and not this DIY, I would never have guessed how easy to do it is! Thanks! I am jealous you look like a pro with clay! The last and only time I attempted to work with clay it didn't end as well...LOL Very neat! How creative!!! Makes me want one or two or three.... these would be a great gift! Such a great idea! I've been wanting to make homemade beads and was so excited to see that you did and had such a cute result! p.s. Love the new blogger picture! Very pretty - and I want that dress!! Fantastic! Inexplicably, I find myself wanting to bite these. What?! Woah, your necklace turned out wonderful! Thanks for sharing this! cool! what a fun project...so much more cost effective and you get the satisfaction of creating yourself! i love that! what a great and super cute idea! the beads came out so cool looking! thanks for sharing! These turned out great! I have never tried working with Polymer clay. I am going to check out Hurmur blog. And seriously...I LOVE all of your comments! I really do read every single comment people leave me and try to respond to them too! I adore these little beads! This is the perfect neutral accessory to go with everything!! Absolutely adore this project, I've referenced it twice now (once just a link and then my own take on it), couldn't love it more! Such a different take on a polymer clay bead! Love it! I just wanted to let you know I made your bracelets and i absolutely love them :-) i will make a grey one tonight to match the other ones. Here are the two i made on the first try! Just the tutorial I was looking for! I'm going to get right on this. great job but where do you buy from so cheep clay. could you tell where we can buy too? altho the beads feel hard after 15 min., it is not long enough for beads this thick. note the pkg. says 15 min per 1/4 inch thickness. If it isn't cured all the way thru, it will crumble from the inside out. it may take a couple years, but it will:( bake them more like an hour. 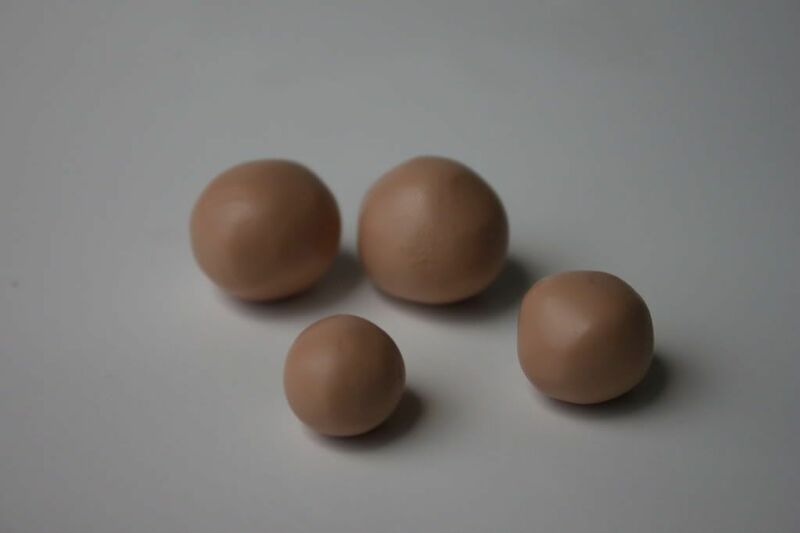 If the clay gets too warm, soft, & squishy as Ida mentioned, yes, let them sit a while to firm back up or toss in the freezer or fridge for a while. curious if these can double as wearable children's teething toy's? Or is the polymer a no go for kiddos?